The two general editors for the Wesley Study Bible (reviewed below) are Dr. Joel B. Green, a professor at Fuller Theological Seminary and Bishop William H. Willimon, who is listed on the packaging of the Wesley Study Bible as “Resident Bishop of the Birmingham Area of the United Methodist Church” but who is, I’m pretty sure, known in Methodist circles as the Bishop of North Alabama. He is also a rather prolific writer and speaks often at churches in his conference. One topic he will be speaking on is “Reading the Bible Like Wesleyans”. This will be a discussion, led by Bishop Willimon, on the unique Methodist way with scripture. How does United Methodist “practical Christianity” inform our reading of scripture? Bishop Willimon will discuss the particular Wesleyan contribution to the study, interpretation, and embodiment of Holy Scripture. This should be thorough (2.5 hours alotted) and informative conversation. I know some Methobloggers are discussing making the trip to Birmingham on the 7th of March, but I’m closer to Huntsville, and I’m thinking of getting a group from church together to make the trip on the 14th. You can read more about the sessions and Bishop Willimon’s thoughts about the project at the North Alabama Conference website. 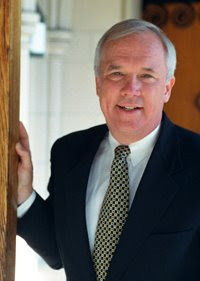 Author gmw3550Posted on February 6, 2009 Categories Bishop Will Willimon, north alabama conference, scri', United Methodist, wesley study bible1 Comment on Willimon Road Trip?